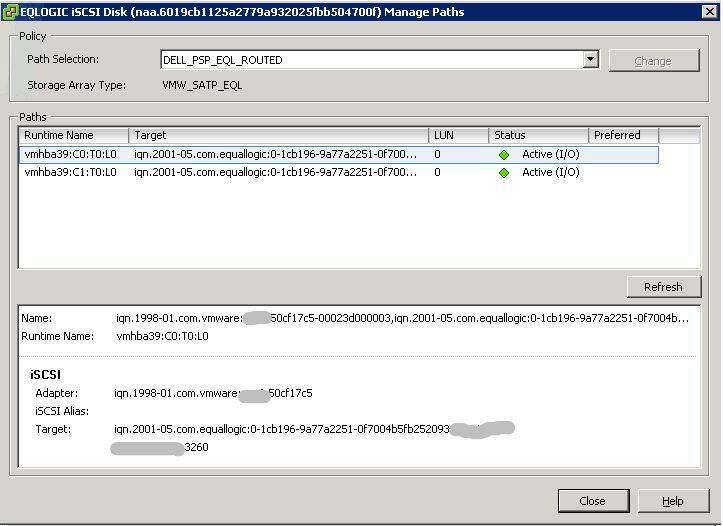 The MEM (Multipath Extension Module) by EqualLogic (EQL) handles path selection and load balancing to the storage array. Upon install, it will add another path selection policy called ‘dell_psp_eql_routed’ in addition to the 3 default policies. Using this PSP is ideal when you’re datastores reside on EQL since the module is written by EQL, it has been designed to perform more efficiently in regards to path selection and load balancing to the array. 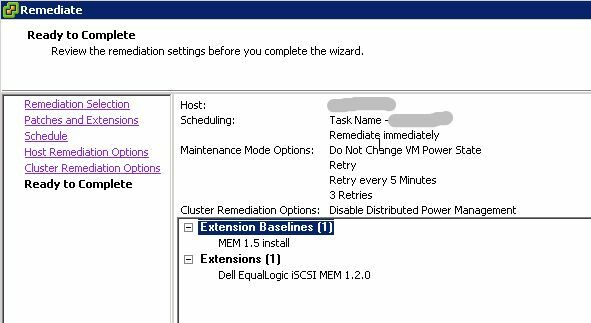 Here is how I installed and configured MEM on my esxi hosts. I’m running ESXi 5.1 Update 1 with vSphere CLI installed on vCenter. 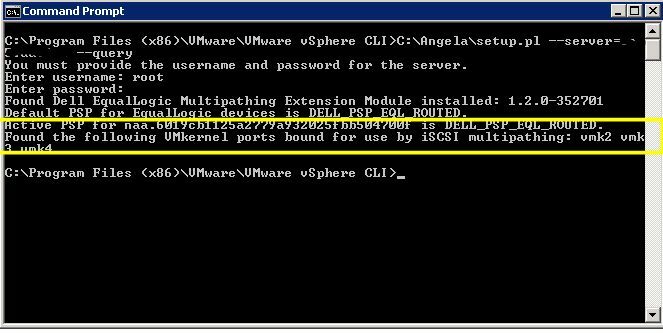 Prerequisite: Be sure to configure an iSCSI vSwitch for multipathing before installing MEM. Please read TR1075 for more information on how to configure the vSwitch. Download MEM from EQL support site. Login is required. Review the release notes, TR1074 as well as the installation & user guide before proceeding. 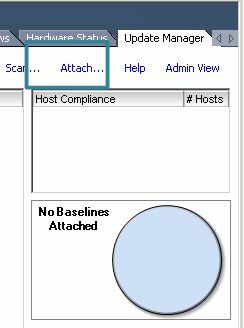 On the vCenter server, launch vCenter client. From the home screen, open Update Manager and click on the patch repository tab. 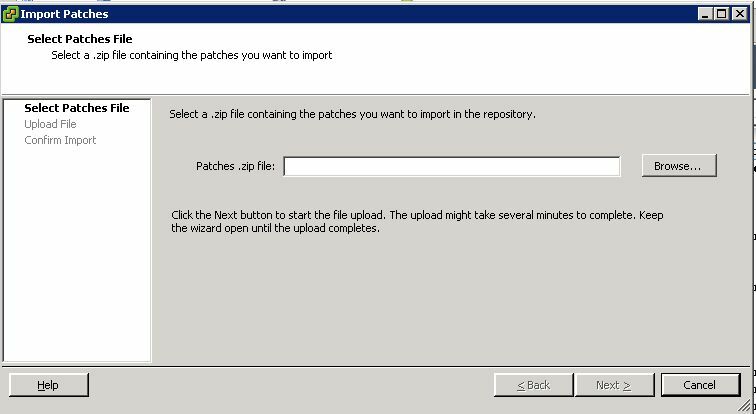 Click import patches and browse to the MEM offline bundle zip and click next to upload. Next, create a baseline. Enter a name and description for your new baseline, select ‘Host Extension’ then click next. Add the extension to the baseline. Click next. Your newly created baseline is now listed under the Baselines and Groups tab. Now it’s time to install. 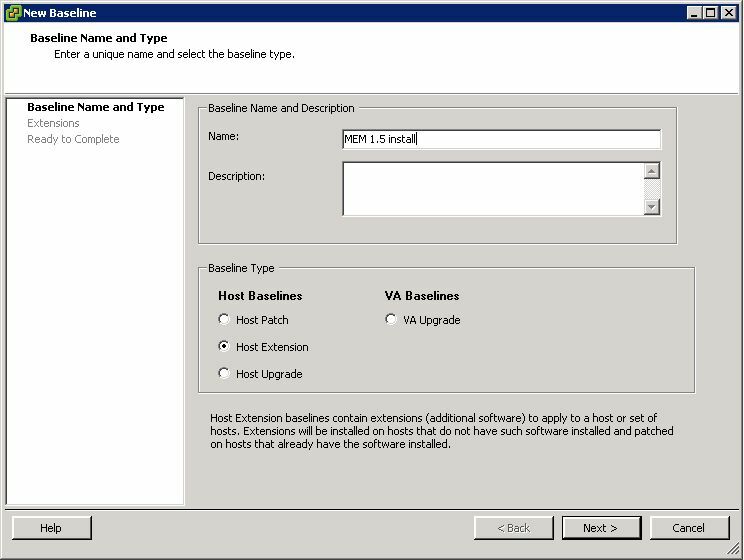 Begin by putting your host into maintenance mode.Click the update manager tab of the host and click attach. 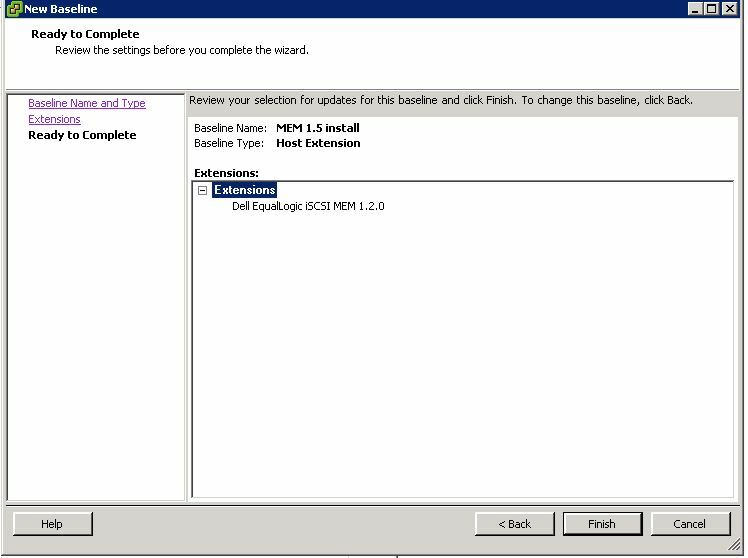 Check the box next to the MEM install and click attach. Highlight the attached baseline and click scan. Confirm that you’re scanning for patches and extensions. Remove the check next to upgrades. Click scan. The host will now be labeled as non-compliant. Click remediate in the lower right corner. 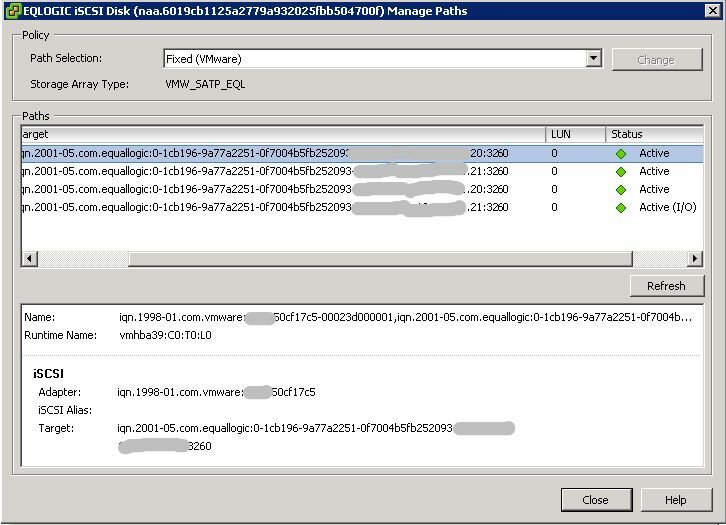 Click next twice in the remediate wizard if you’re accepting the defaults. 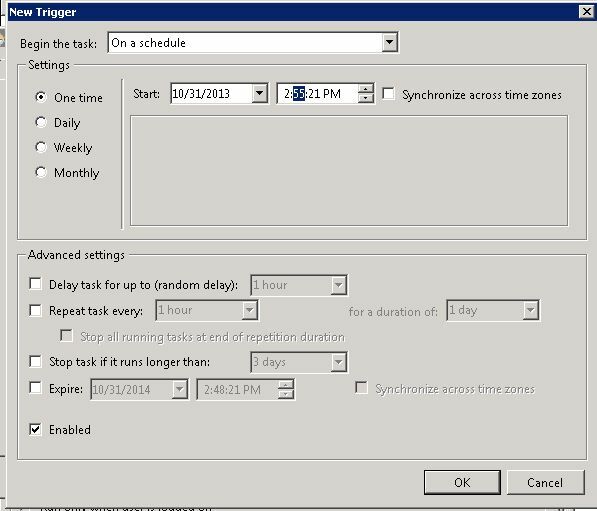 On the schedule window, type in a new task name and description (optional) and select a remediation time. I did mine immediately, but this task can be scheduled for a later time. Click next. 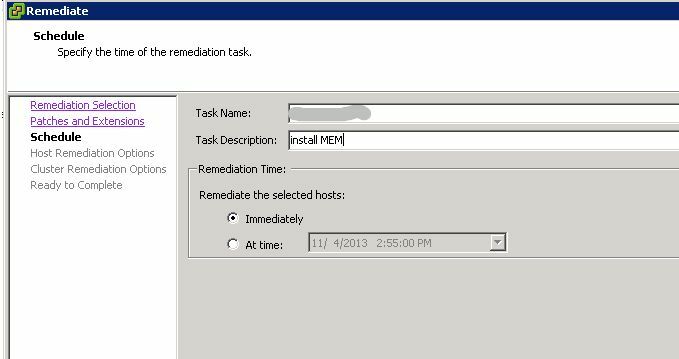 Edit any host remediation options and click next. 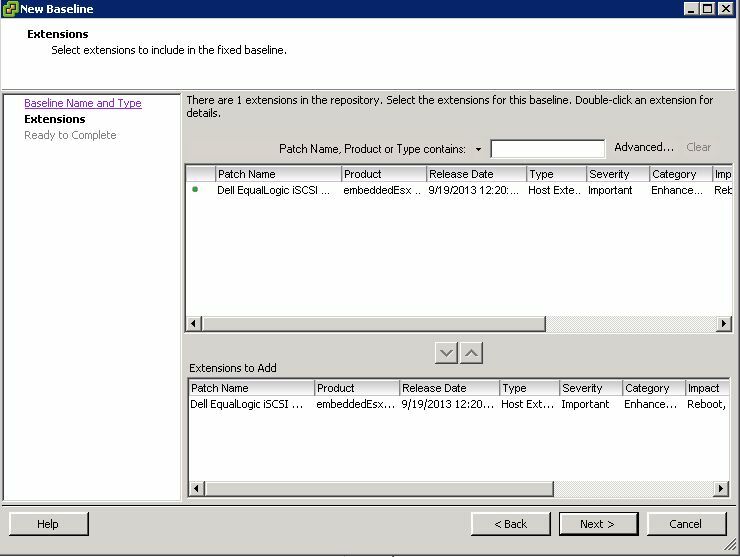 Edit any cluster remediation options and click next. Review your remediation settings and click finish. Monitor the recent tasks pane to see the status of the installation. Upon completion, the host will be listed as compliant in the update manager tab. From a system with vMware vSphere CLI installed on it, run the following command to verify the MEM installation. You will need the setup.pl script in order to run it. It’s included in the MEM download. Enter the credentials for the host. After a few moments, the command will display the version of the MEM installed, the default PSP that is now set as well as the vmkernal ports used by MEM. Enter the credentials for the host. Multipathing is available immediately after installation. You can see the paths to the disk as well as the new PSP. On the host, go to the configuration tab+ hardware+storage+right-click the datastore + properties+ managed paths. Here you can see that there were 2 active connections to each controller, however, only 1 was being used for I/O. Once MEM is installed, there are redundant active connections to each controller and the load is more evenly balanced. 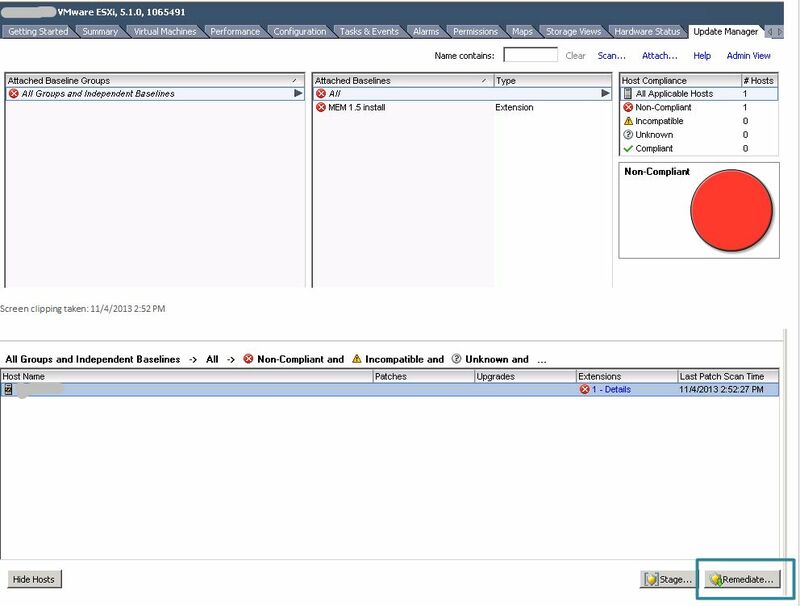 As I mentioned before, the MEM is totally functioning, however, in order to use the new esxcli commands that are available to manage and report on, you’ll have to restart the hostd agent on the esxi host. Enable SSH on your host and log into it. Log out of the host and disable SSH. For more information on Dell’s MEM, read this great blog post from Cormac Hogan of vMWare. We’ve all run up against a scenario where a newly installed application will not work properly unless you reboot the server. The problem with that is you are probably working on the app during business hours and a reboot is out of the question right now. 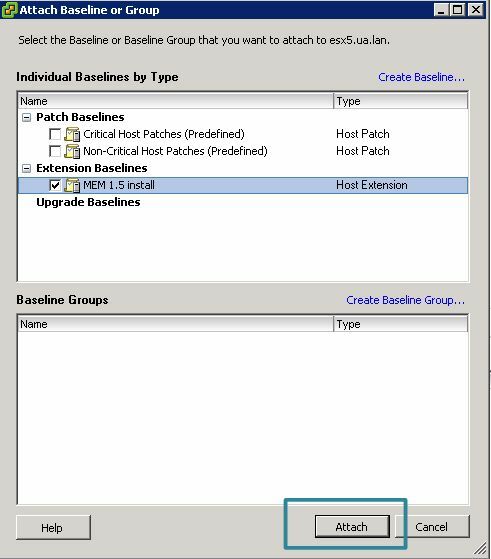 There are 2 easy ways to schedule a reboot of your Windows server to happen during off hours with no late night RDP sessions required. Please test these procedures on a test box before using them on your production server. Also, there are several ways to do this, just Google them and you’ll see what I mean. 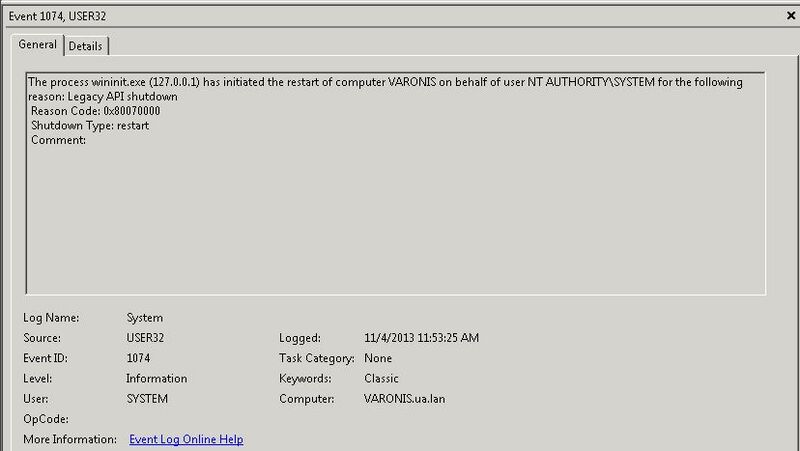 This was performed on Windows 2008 R2 SP1. shutdown /r /f /d p:4:1 /c "Planned restart by Techmom"
I inserted the ping to slow down the command just a bit so I can test it abort the shutdown with a shutdown /a at a command line. This is what you’ll see in the event log regarding the reboot. The comment is a good place to make a note of why the reboot must occur. Once you know it works, time to create a task. Action Tab, click new and browse to the batch script. Conditions & Settings Tabs are with the default options selected. Test the schedule to confirm the system will reboot. If you are logged in during the test, you will see the warning popup informing you of the impending reboot. Your server will reboot on the schedule you set. 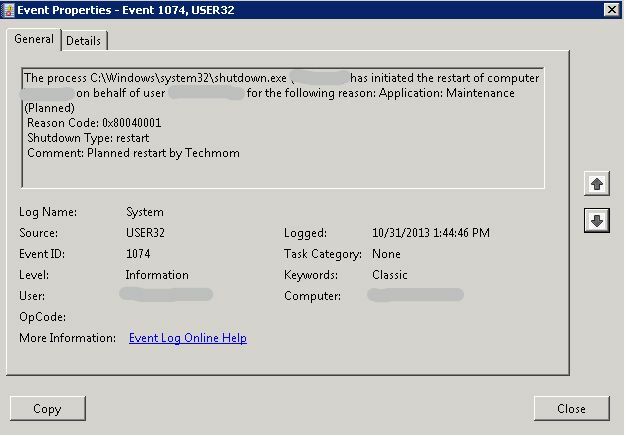 Review the event logs and the task scheduler library to confirm the reboot was successful. 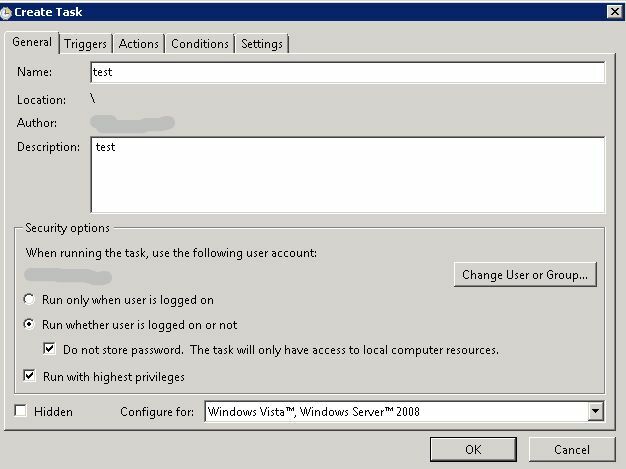 PSShutdown is a Systernals utility that you can download from Microsoft to reboot local and remote machines. Follow the installation instructions before use. 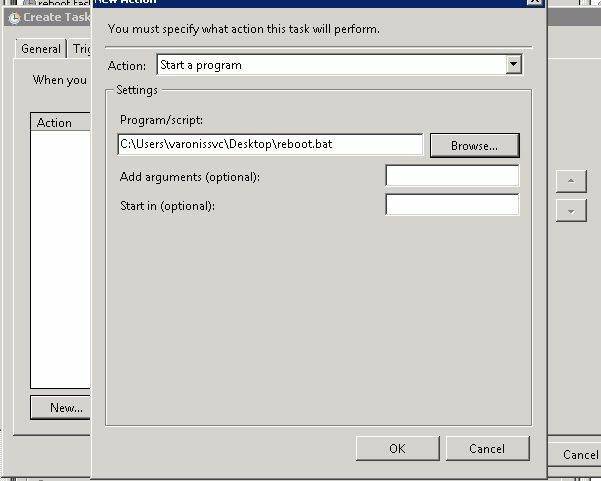 This tool allows you to issue a psshutdown command from the command line, specify the reboot time as well as add parameters. To get a full list of the switches issue a PsShutdown /? at the prompt. Upon reboot, review the event log for more information on your reboot.